Seattle ranks 20th worldwide in the latest survey of traffic congestion by Kirkland-based INRIX global data company. Seattle has fulfilled its aspirations to be a world-class metropolis, at least in terms of traffic. The metro area ranks No. 20 in the worldwide INRIX Traffic Scorecard, released Sunday, and No. 10 in the United States. Drivers here were delayed an average 55 hours last year in peak times, ranking between Jakarta and Zurich, the report found. Kirkland-based INRIX used data from in-vehicle navigation devices to plot delays within cities and major highways from near suburbs, such as I-405 and Highway 509. Hours of delay would be longer for someone coming all the way from Tacoma. Tacoma’s traffic ranked 53rd, Portland 30th, and Vancouver, B.C., 76th in the count of 1,064 cities in 38 countries. The most clogged city was Los Angeles, averaging 104 hours delay. Congestion rankings are dicey because measuring techniques change, and they don’t include transit or ferries. And the averages include short commutes — an Everett-Seattle driver could easily lose more than 100 hours a year in slowdowns. The INRIX scorecard doesn’t include China, which would certainly crash a top 25 list. 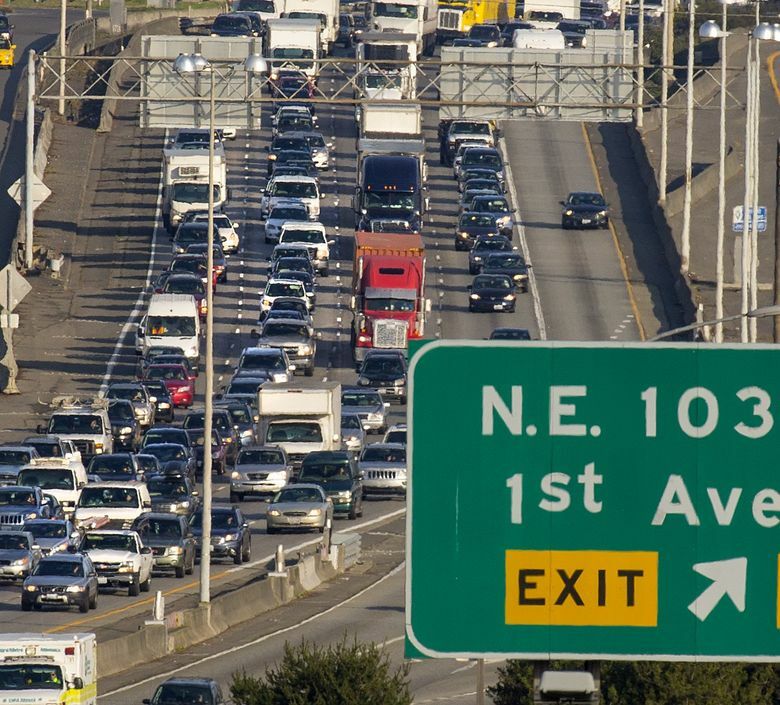 The competing Tom Tom navigation company ranks Seattle the fourth most congested area in the United States, in its yearly Traffic Index update released Monday. 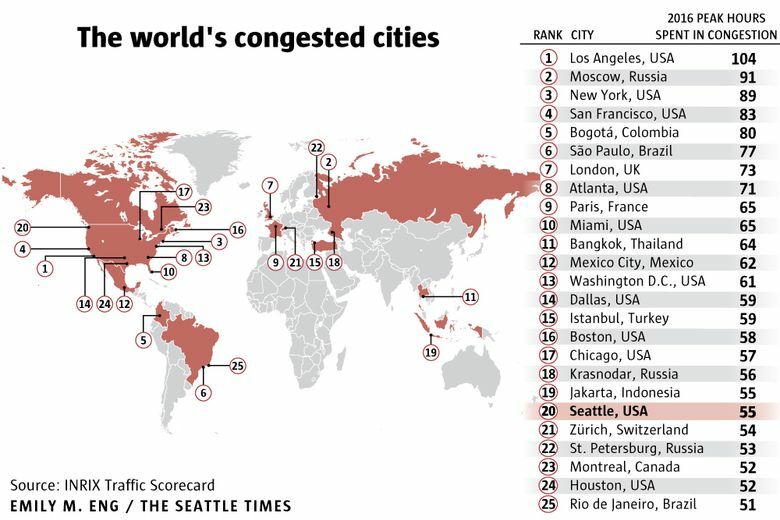 A year ago, INRIX ranked Seattle sixth worst in the United States with 66 hours of congestion in 2015, but it has since changed methodology, to compare a smaller traffic territory around each world city. Tom Tom’s No. 4 ranking for Seattle is unchanged.